Hello there. 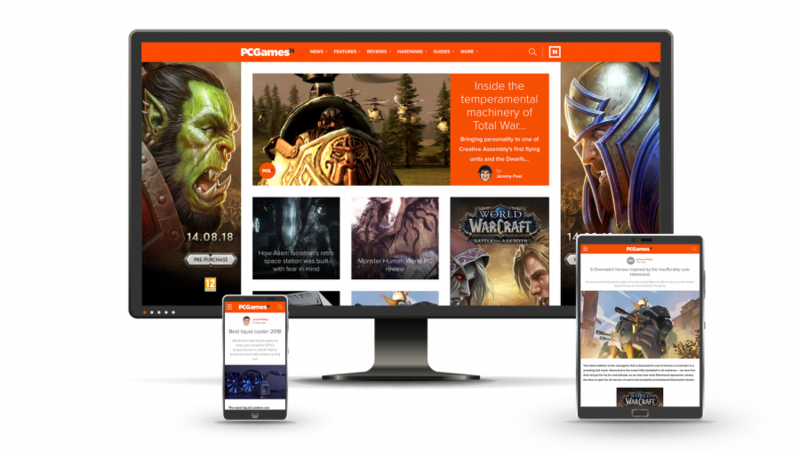 It’s an exciting day for us as, after what seems like a lifetime, we’re ready to lift the curtain on the new-look PCGamesN. We hope you like it. Although it’s only been three years since the site last had a redesign, it’s fair to say it hadn’t aged particularly well. Less ‘fine wine’, more ‘half-eaten piece of fruit’. So we’ve ripped everything up and started all over again. The sidebar is gone, meaning more breathing space for the stuff that matters: words, pictures, and videos. Images are bigger, because we’re so on trend, and we’ve added in a bunch of new design features and functionality. You’ll see things like boxouts, image comparison tools, new graphs for all that sweet benchmarking data, bespoke posts for game updates, and even a fancy interactive video player. And – stop the presses – we have galleries now. Some things have gone: our user review system is no more, although we do have plans for it in the future so save your tears on that one. And we’ve moved to Disqus commenting to foster more community interaction, meaning that your legacy #bantz has sadly been lost, like tears in rain. This all goes further than the website, too. We’ve fully rebranded: new logo, new avatar, new Facebook and Twitter furniture, and even an overhauled YouTube channel. Plus everything is far better optimised for mobile devices, so you can take us with you wherever you go. But fear not, it’s still the same lovely, talented PCGN team behind all of this, and we’ll still be bringing you the same content in the same tone of voice. It’ll all just look and function much better now. That said, we know it’s not perfect yet, and there are still some bugs to be squashed. If you spot anything that’s broken, please email me directly: [email protected]. Likewise if you just want to say something nice, because that would be much appreciated too.